There is certainly no shortage of amazing music festivals to choose from in the USA. Rock n’ roll, pop, country, hip hop, folk or electronic – you name it, there is a festival for it. Every year, people come from all over the world to see some of the biggest names in the music industry perform in the USA. 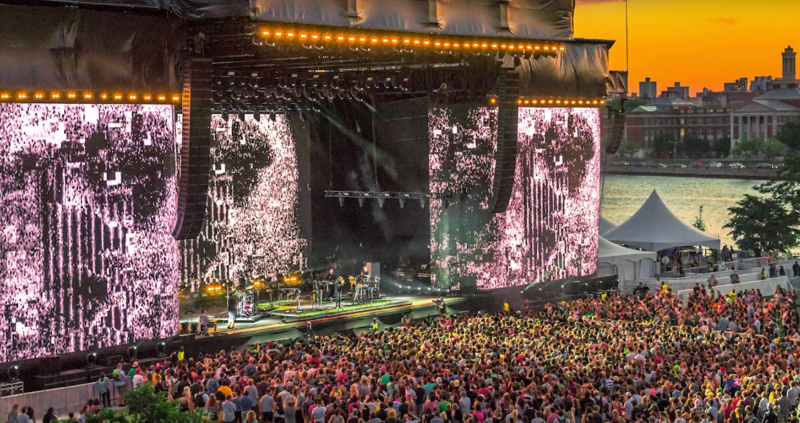 Here are our travel expert Angel’s top 10 music festivals in the USA 2019 – where will you go? No festival list in the US would ever be complete without including the Burning Man music festival. 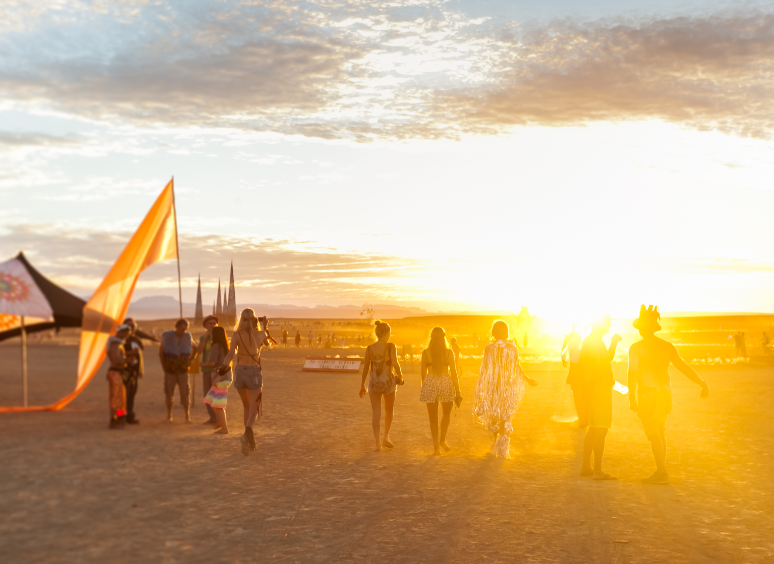 This festival takes place in a desert at Black Rock City Nevada and is a huge celebration of life, as you burn the past and get ready for new transformations. This festival has a famous leave no trace policy and incredible music and art installations. A must for the bucket list! Burning Man 2019 takes place from 25th August – 2nd September. This music festival is set in stunning Miami Beach, Florida. As if Miami was not fun enough, Ultra Music Festival brings all your favourite DJs to one location every March. Think Afrojack, Armin Van Buuren, The Chainsmokers and David Guetta. Head to Miami this year from 29th – 31st March to experience it for yourself. 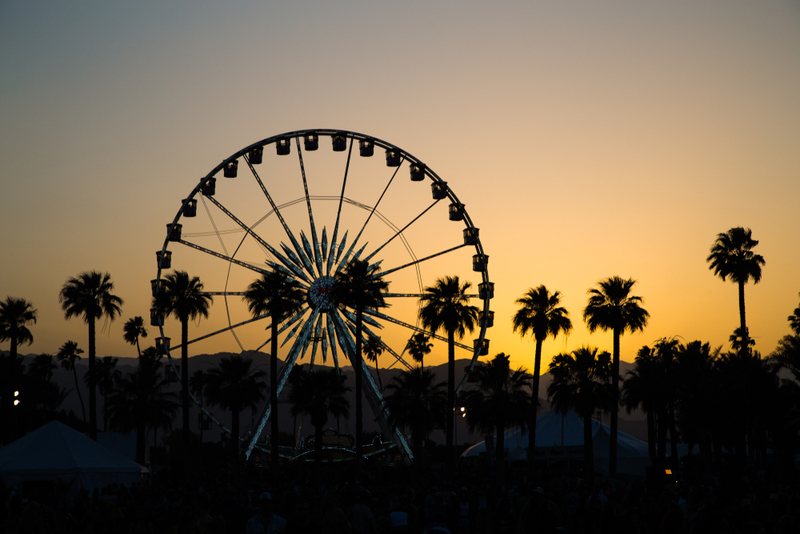 This April 2019, the world renowned Coachella Valley Music festival will kick off once again at the Empire Polo Club in Indio California. This music and arts festival, which started in 1999, has now evolved into a massive annual event where people from all over the country, and even the world, travel to the US for. Throughout the festival, there are various musical acts, camping, and loads of partying. If you are into pop culture and want a taste of modern America then this is one for you – taking place from 12th – 21st April this year. Country folk rejoice! Stagecoach is California’s country music festival of the year. 2019’s headliners include Keith Urban and Garth Brooks. Attractions include a honkytonk dance hall, a ferris wheel and a beer barn. This is a country music lover’s dream festival! Taking place from 26th – 28th April 2019 in Indio, California. Looking to enjoy some of your favourite musical acts with your feet in the sand and the ocean at your back? Then the Hangout Festival is for you! It is a mixed genre festival, so there is something on the line-up for everyone in your crew! When you are ready to take a break from the music, Hangout Festival includes plenty of activities, like a roller disco, and even a puppy kissing booth for a bit of fun. Head for Gulf Shores from 16th – 19th May 2019 to experience it for yourself. Essence is a festival located in New Orleans, Louisiana. Inspired by the magazine for African American women, this festival is aimed to celebrate women and culture. This July marks the 25th anniversary of the festival and will feature Janet Jackson, Mary J Blige and even Erykah Badu. There is some fun for the men too! Other popular headliners include Snoop Dogg and The Roots. Essence Festival will take place from 4th – 7th July 2019. Looking for something different? This annual event is based in Florida and involves music being broadcasted and passed through pipes to the underwater. Attendees usually have mermaid-like costumes and put on a show to entertain the audience. The audience is made up of hundreds of avid divers and snorkelers who come together to conserve and protect the Looe Key Reef, the only living coral barrier reef in North America. They have underwater diver musicians and heaps more of underwater entertainment! What’s no to like? Head for the Florida Keys from 6th – 7th July 2019. The famous Lollapooza festival will take place in August in Chicago, Illinois. Here you can experience eight different stages, including a line-up of over 170 bands. Past artists that have graced the Lolla stage include Muse, Lorde and Cage the Elephant. You can’t miss this one – takes place from 1st – 5th August 2019. This is definitely one of the top 10 festivals in the USA 2019. Panorama is a famous festival set in New York every July. The line-up is always incredible with The Weeknd, Janet Jackson, Cardi B and The Killers, being past performers. You are guaranteed to have the time of your life at this festival -2019 date yet to be announced. Originally focused on jam bands and folk rock, this festival has expanded to include an impressive array of genres and was once praised by Rolling Stone magazine as playing host to one of the “50 Moments That Changed Rock & Roll”. You are in for a treat with this one – takes place this year in Manchester, Tennessee from 13th – 16th June 2019. Thinking about attending one of the top 10 music festivals in the USA 2019? Contact us today to find out more. Favourite Destination: My best experience was a trip to The Grand Canyon which is one of the Seven Wonders of the World. It is best combined with a holiday to Las Vegas. Nature’s most incredible creation alongside one of man’s most exciting cities. I would recommend a 5-7 day trip to Las Vegas and taking a couple of days our in the middle to witness this phenomenon of nature before returning to soak up the manmade wonders of Las Vegas famous strip.